Lee Remick's ascent as an actress was swift and distinguished. At age 24 she attained stardom in Anatomy of a Murder (1959), and was nominated as Best Actress three years later for her role in Days of Wine and Roses (1962). In the second half of her career, she found her most prolific and rewarding opportunities in television. This book chronicles her life and work in extensive detail, with entries for all her performances. The opening biography overviews her life and discusses her illustrious career. A chronology summarizes her life and work in capsule form. The chapters that follow trace her work in various media, with individual chapters devoted to her stage, film, and television careers. Entries in each chapter provide full information for all of her performances, including cast and credit information, plot synopses, excerpts from reviews, and commentary. 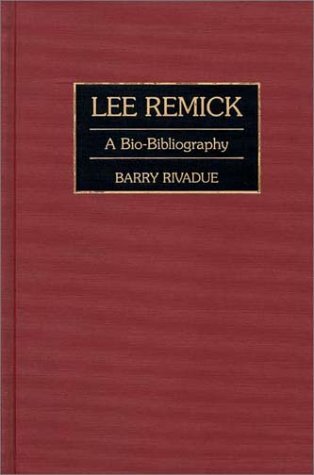 An extensive annotated bibliography makes this reference a detailed resource for people seeking additional information about Remick's work.